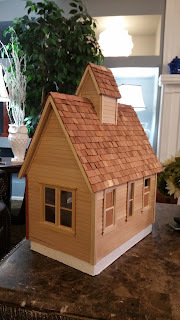 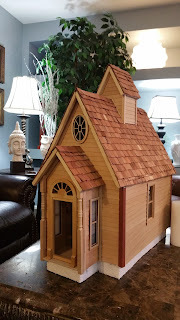 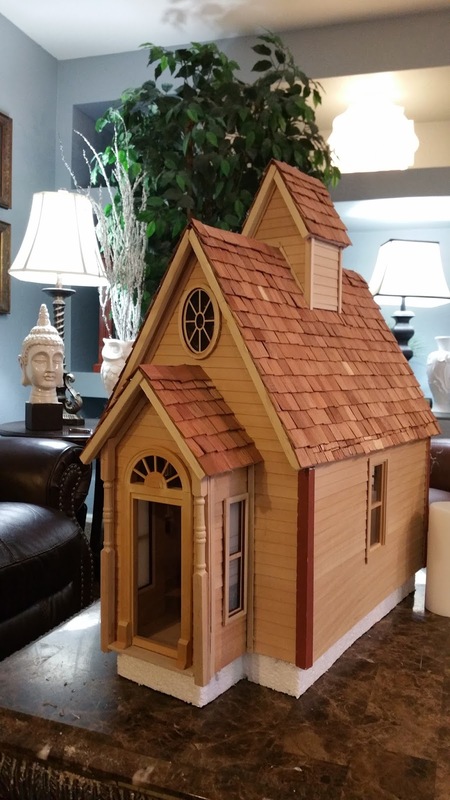 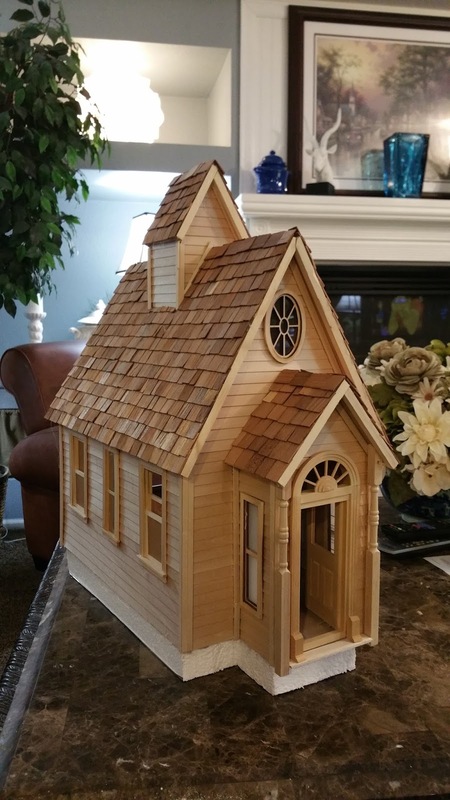 I got really bored the past couple of weeks and decided to try to build a church with some scrap shingles and scrap wood. 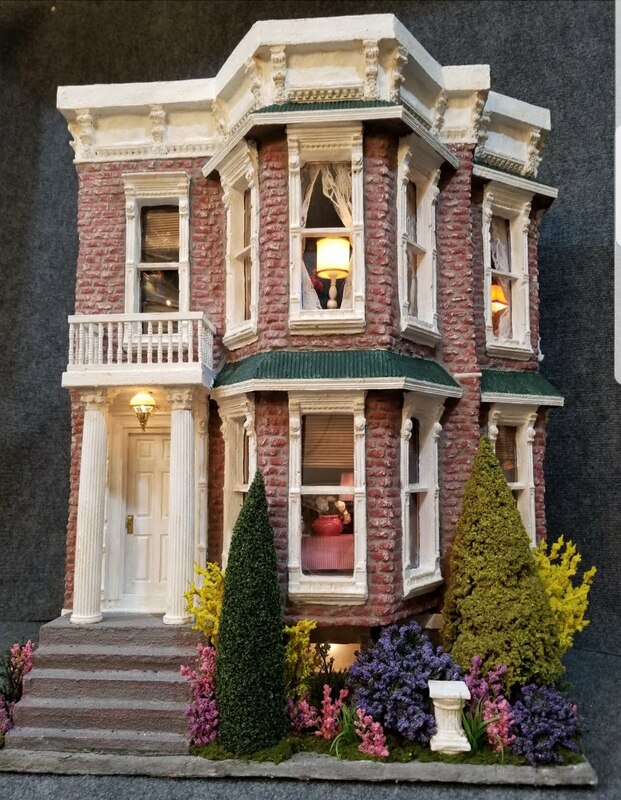 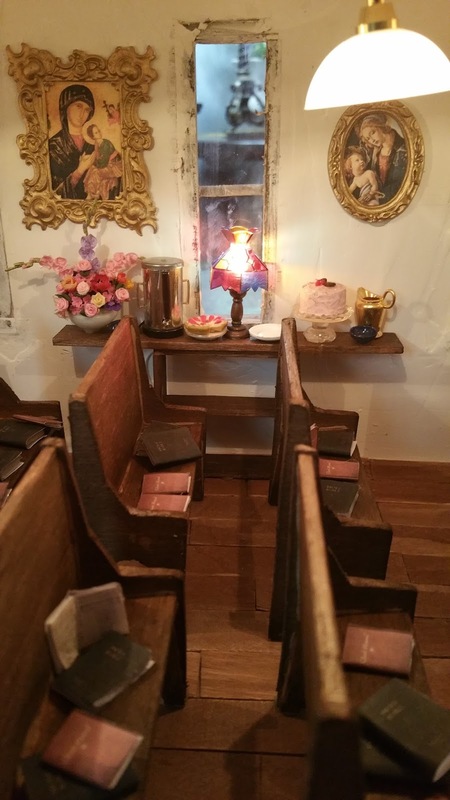 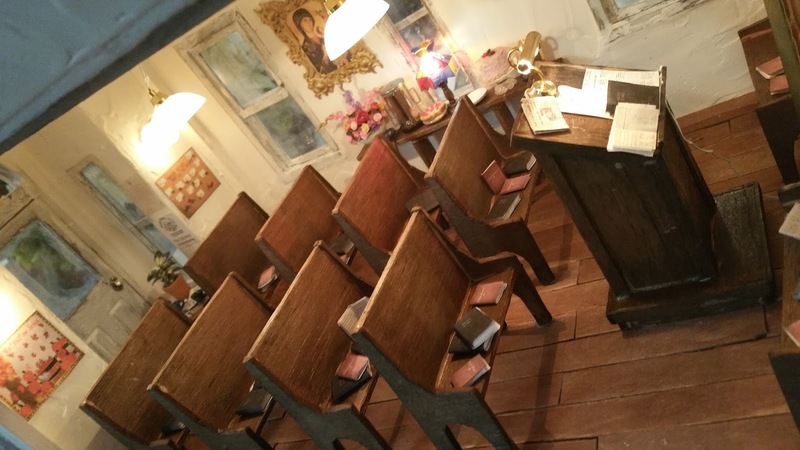 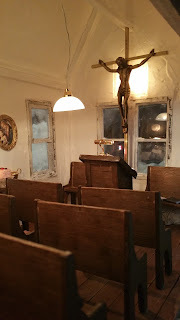 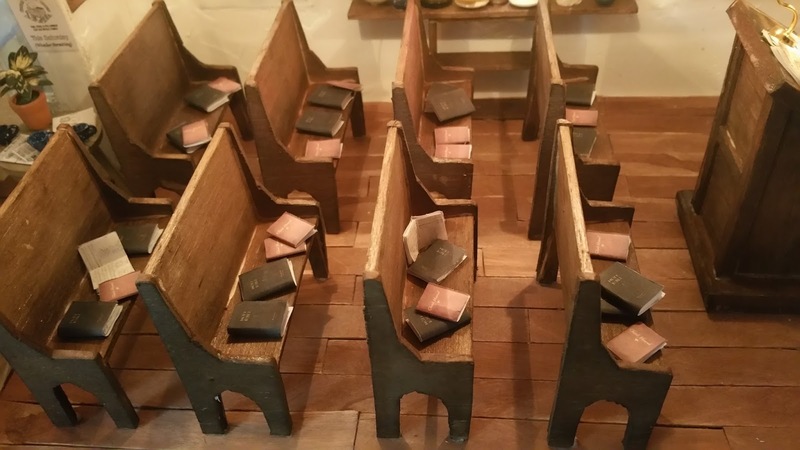 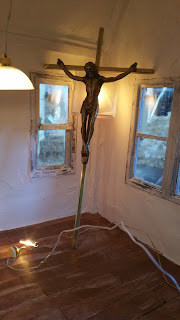 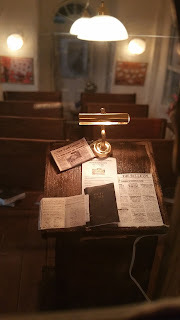 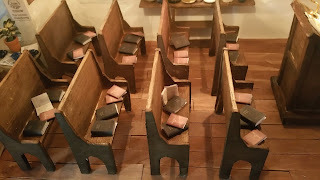 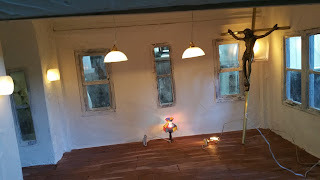 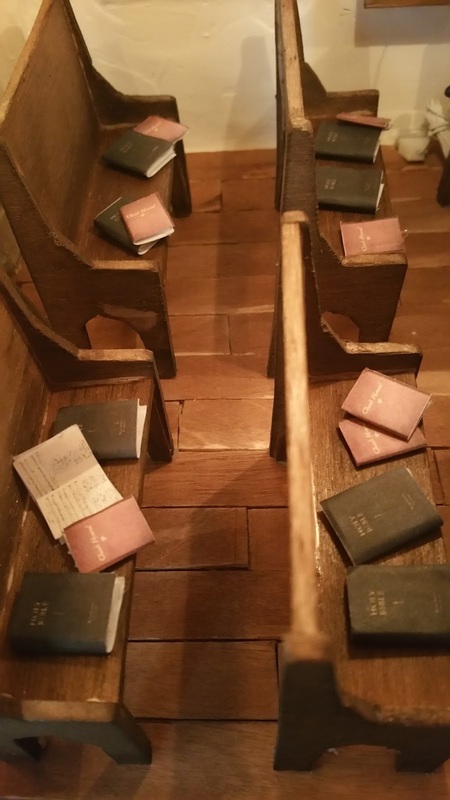 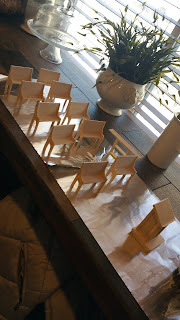 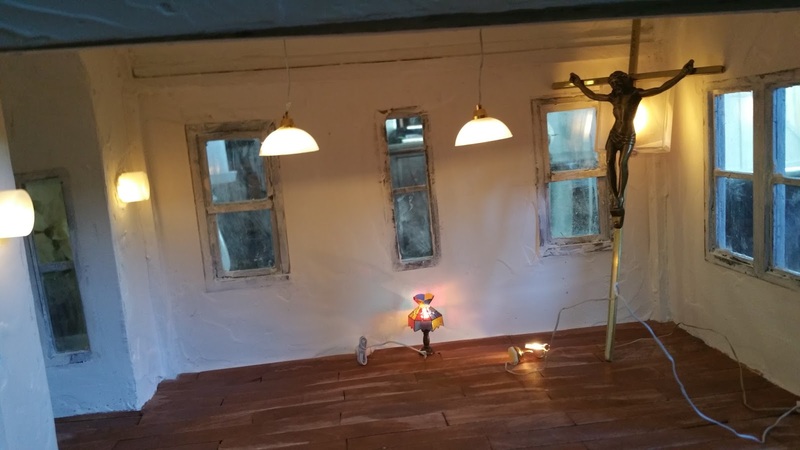 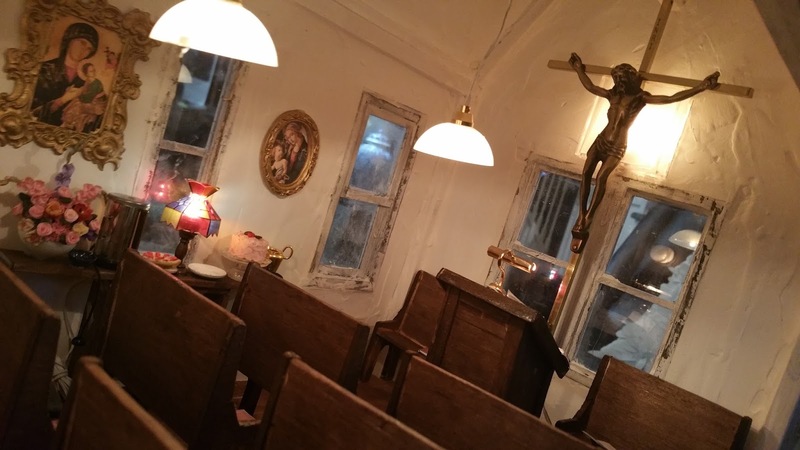 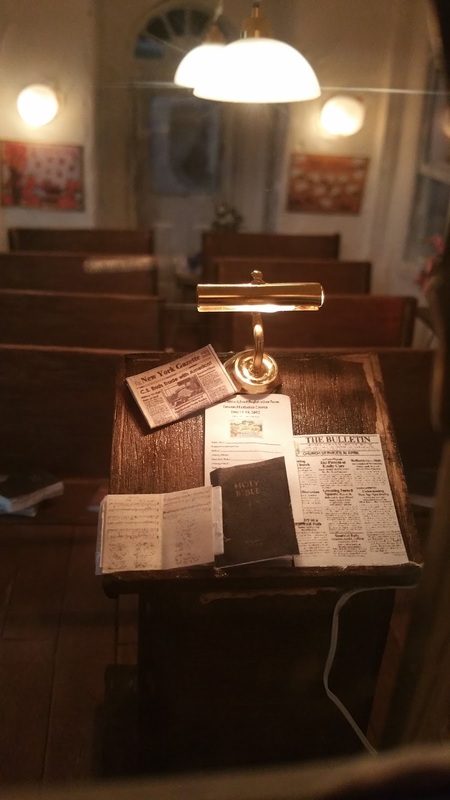 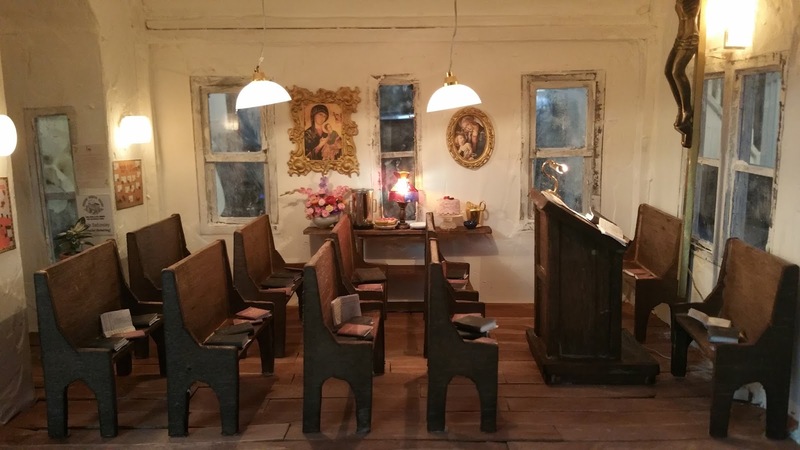 I ended up having to hand make the pews and podium inside the church since there really isn't anything out there for sale for the inside of churches and that would also fit inside the space. 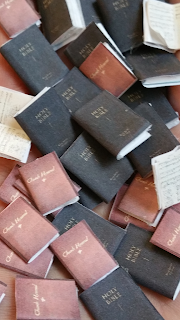 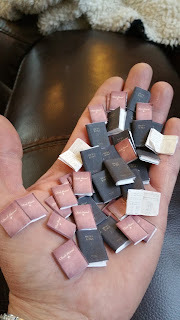 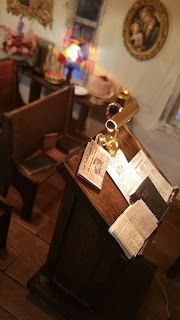 I did have a ton of fun making all the mini bibles and hymn books, which is very relaxing for me when I am making them. 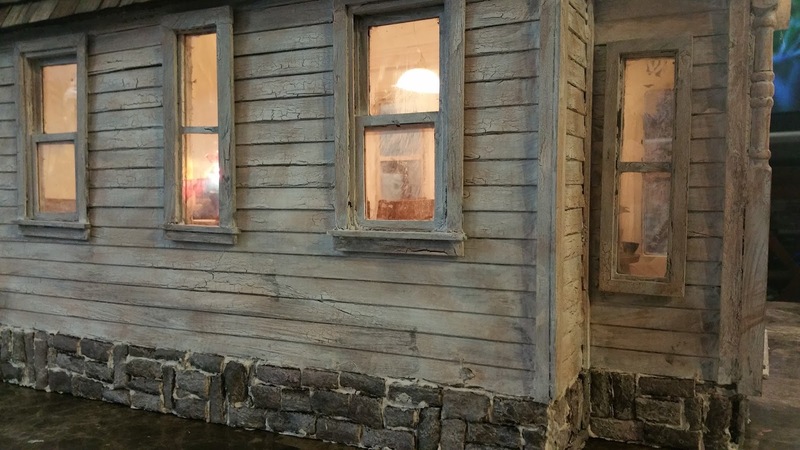 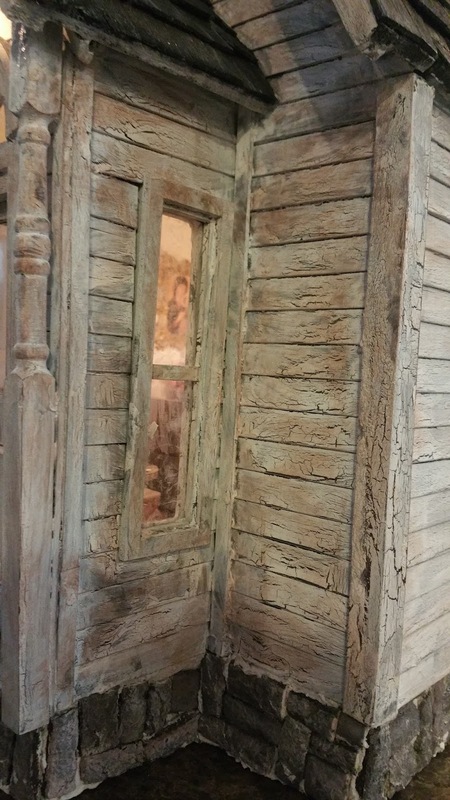 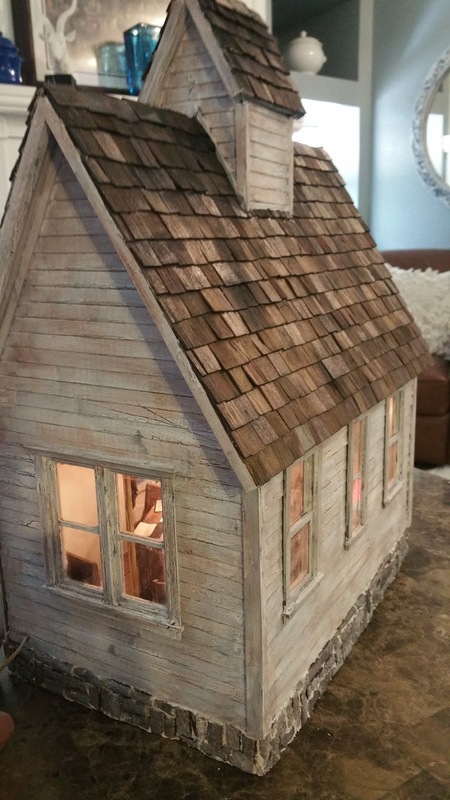 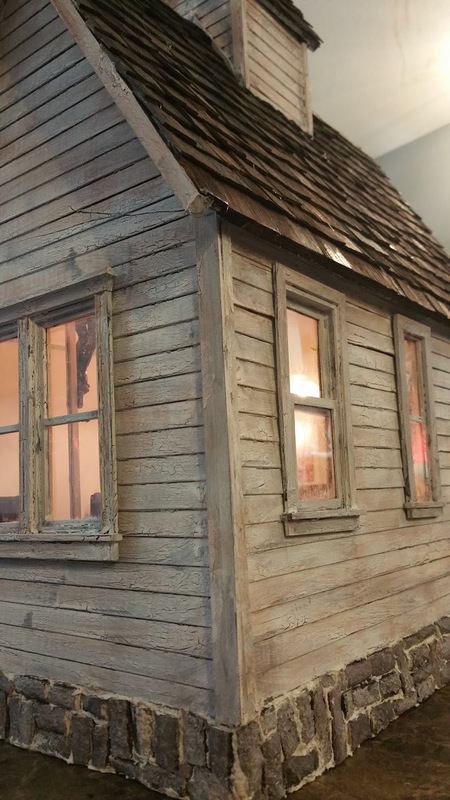 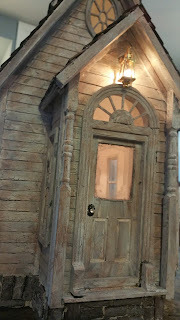 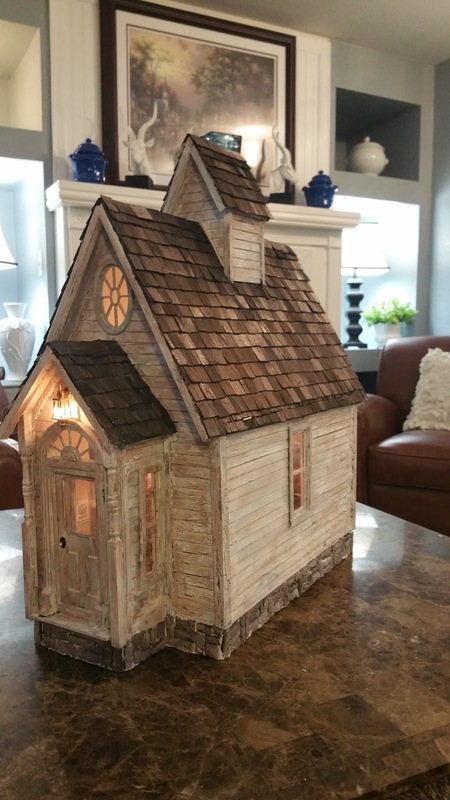 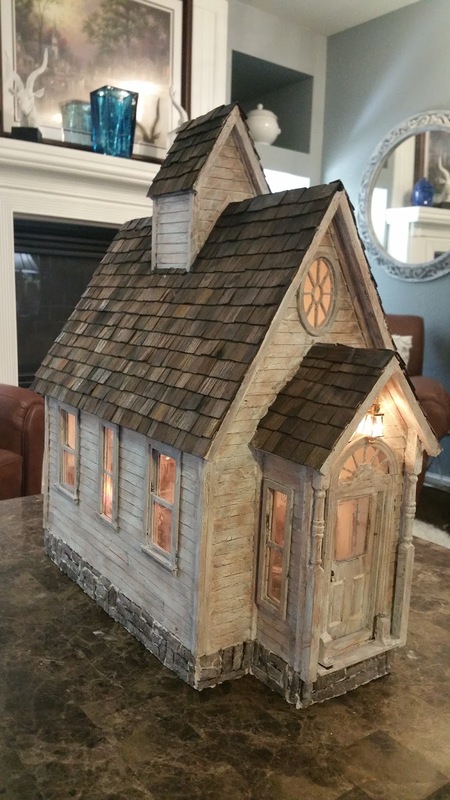 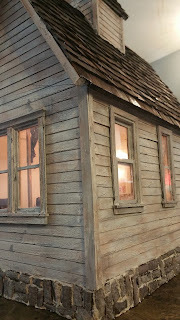 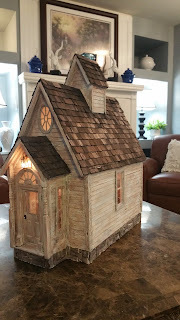 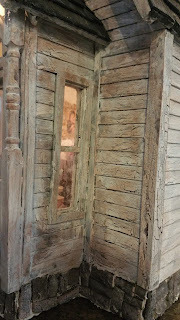 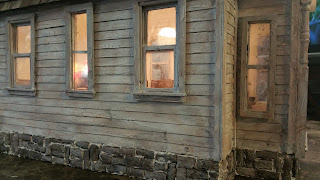 I spent so many hours adding different layers of paint and crackle finish paint to give the old weathered paint look. 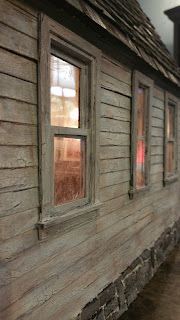 I really like the look of the cracks in the paint.